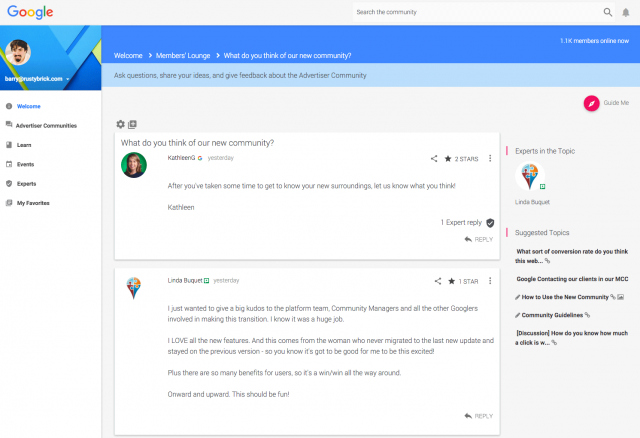 In the 12 or so years I've been covering search through the eyes of the search forums and communities, Google has upgraded their support forums about five times. The last major upgrade was in 2011 and before that in 2008. But they did have a unique forum just for the AdWords community that launched in 2012. The AdWords community version has been completely revamped with a brand new design and with that, the Google Analytics and Google My Business forums moved from the 2011 version to this 2012 but upgraded version.